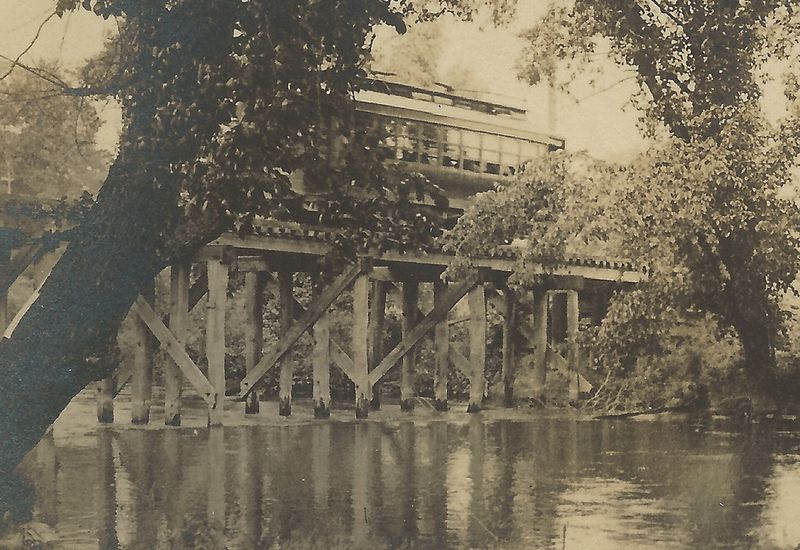 From the 1890s until World War II, there was a type of rail transport in the U.S. between the regional rails (like the Santa Fe or the Chicago Northwestern) and the common streetcar (which served communities of all sizes but tended to have a limited service area; these were for going to work or the market or to school). That intermediate level was known as an inter-urban, usually spelled without the hyphen. Interurbans were the “light rail” systems of their day, often connecting a series of small hamlets with miles of track through open countryside. Whole networks of them grew, some in competition, but most interconnected like legs of a relay race. It was possible, for example, to travel from Chicago to New York on interurbans — but I wouldn’t recommend it: it would have taken days and involved transfers between more than a dozen different lines. 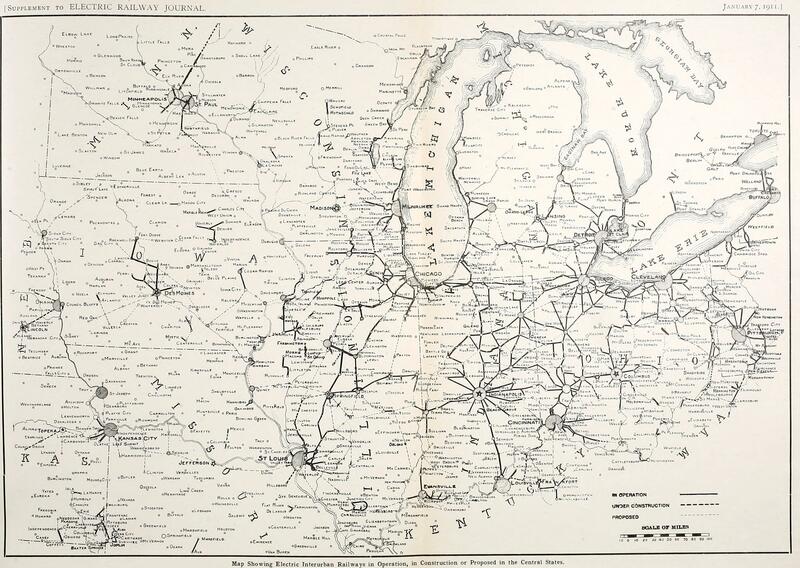 The greatest concentration of interurban service was in the Midwest — the states of Ohio, Indiana, and Illinois — but they existed everywhere, even in remote parts of the southwest and mountain regions. Pacific Electric served Southern California during 1901-1961 and grew to more than 1,000 miles of track that extended from San Fernando to Newport Beach and as far east as Redlands. In the 1920s, it was the largest electric railway system in the world; sadly, now most of its routes are freeways and its cars have become artificial reefs in the Pacific Ocean. Go figure. Wanna bet that L.A. would like to have it back? The finest and still most reliable source on interurban history, generally and company-by-company, is The Electric Interurban Railways of America by Messrs Hilton & Due (possibly in print, but my copy is old and dogeared, if you want to use it). 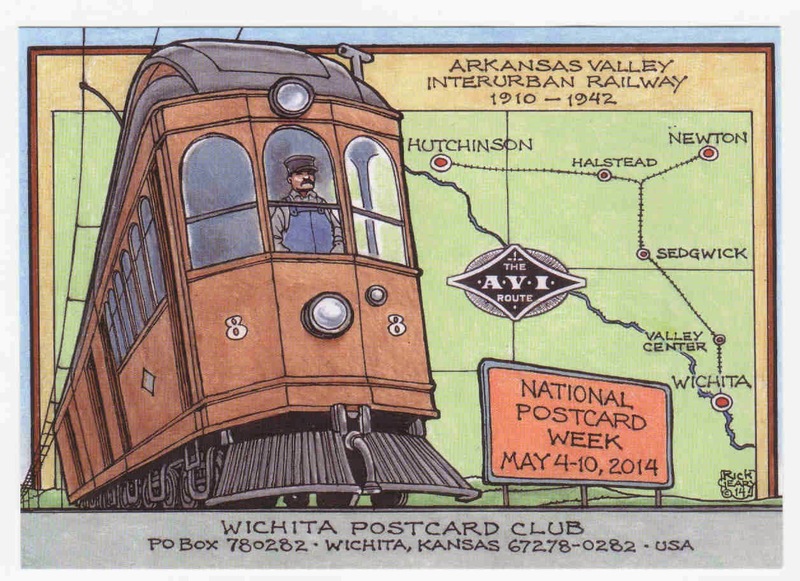 In fact, it was H&D’s style that allowed me to write an entry for Agincourt’s own: the Northwest Iowa Traction Co., popularly called the NITC (pronounced “nitch”), founded in 1909 but gone by the WWII years. 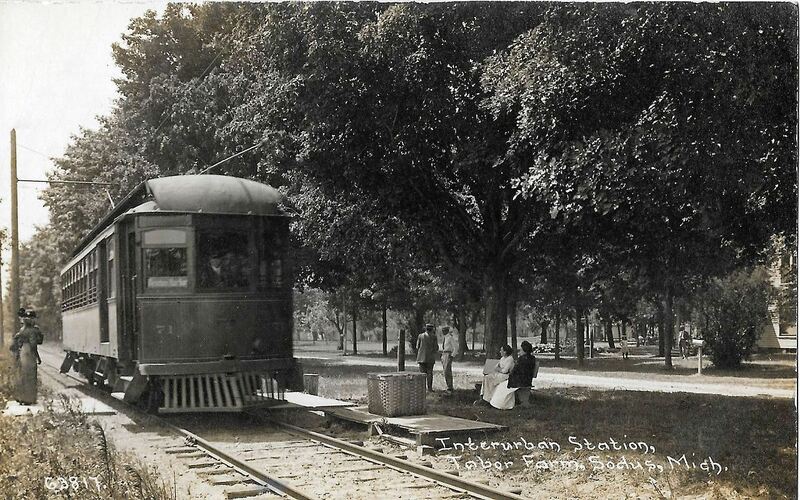 It was also natural for the NITC to have spun off a trolley line for the city itself, a one-way track making a weird figure-eight from the depot at Broad and Louisa through most of the neighborhoods. A spur line served the cemeteries (for deliveries and the occasional well-attended burial) and another seasonal track branched off toward the fairgrounds on the west bank of the Mighty Muskrat. 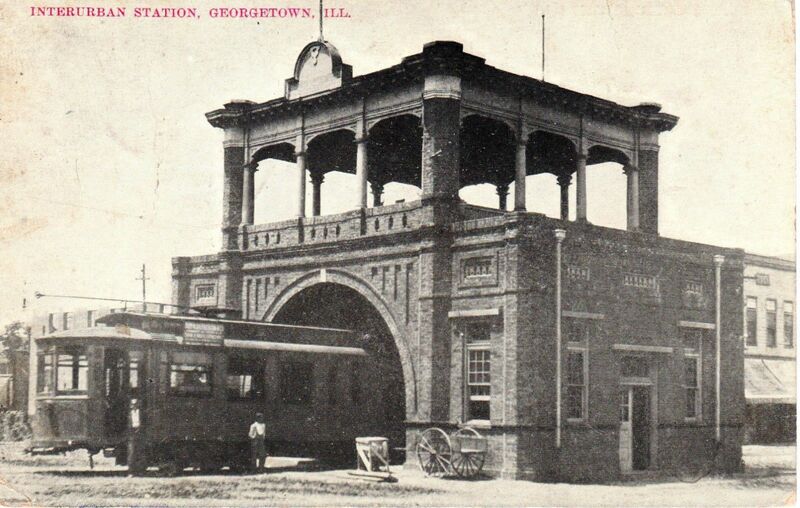 There are literally thousands of postcard views of interurbans: of the cars in every possible situation (including wrecked), of the stations that often served as their hub (some of them pretty goofy), and of the conductors and engineers who ran them, proudly decked out in their uniforms. My goal has always been to create a full corporate image — tickets, tokens, schedules, maps, advertising (posters and newspaper adverts) — something which has so far eluded me. Thought I had some volunteers but that fell through for lack of interest. PS: If you’d like to know what happened to all those interurban miles of track, it was a conspiracy among John D. Rockefeller (oil), Henry Ford (automobiles), and Frank Seiberling (founder of the Goodyear Tire & Rubber Co.), a story being played out again in The New Oligarchy. By agincourtiowa in Uncategorized on Monday/13/November/2017 .